Samuel Edgar McFadden, Jr. was born in 1923 in Ruston, Louisiana. He attended Louisiana Tech there for one year then went to Southwestern College (Now Rhodes) in Memphis in 1940 and received at B.S. in Biology. After two years of military service (1943-1945), he entered the University of Virginia Graduate School where he completed his studies for the PhD degree in 1950 in Biology. In Virginia he became very interested in Botany and Horticulture. While there he held one of the Dupont fellowships in Cytogenetics at the Blandy Experimental Farm, located near Winchester, Virginia which was administered by Dr. Orland E. White and Dr. Walter S. Flory. 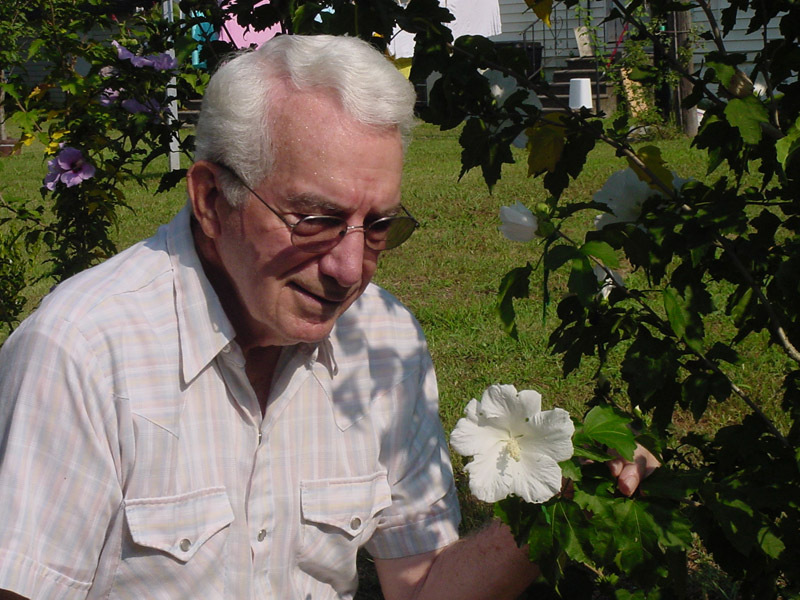 In 1950 he joined the staff of the Florida Agricultural Experiment Stations at their University of Florida location in Gainesville as Assistant Horticulturist. 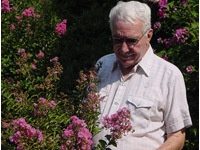 He continued work there in the Department of Horticulture until 1976, with one year (1964 - 1965) on leave to teach Floriculture at the University of Hawaii. 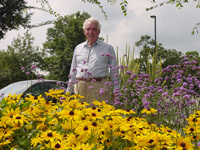 During his year there he was able to introduce Protea species suitable for cut flower use with help from his students and Department of Horticulture administrators. Seed were obtained then later grown to maturity at the Experiment Station on the Island of Maui. At his retirement residence in Somerville, Tennessee, Sam McFadden continues to be interested in the possibilities of hybridizing the woody species of Hibiscus to secure new cultivars that are hardy in temperate regions, as well as those that can be obtained from the herbaceous species in this genus. 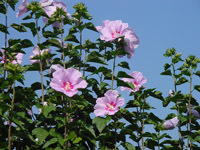 He wants to use H. sinosyriacus (formerly H. paramutabilis from Central China) as a bridge to combine H. rosa-sinensis (Chinese Hibiscus and tropical) and H. syriacus (winter hardy). Althaeas grow quickly and need little attention. 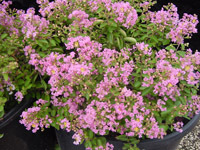 They thrive in the heat of summer and require only occasional deep watering to keep them growing and blooming. 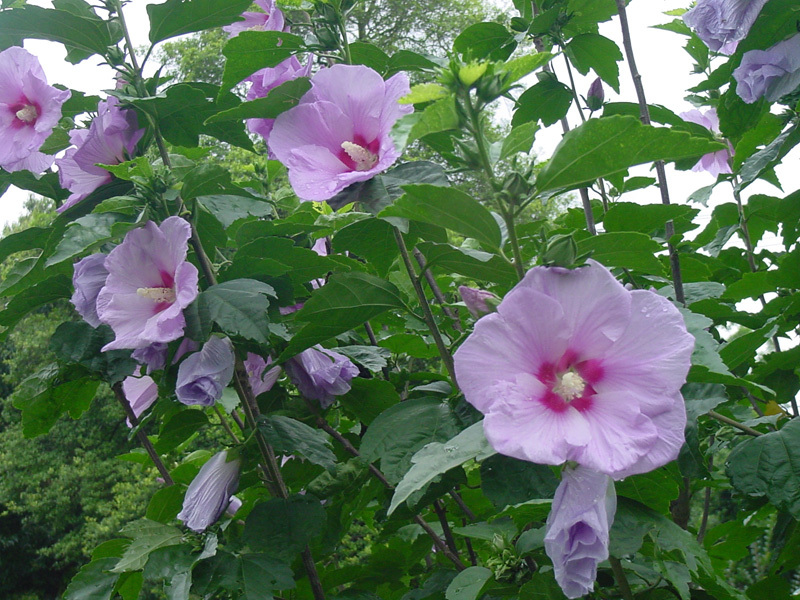 Native to China and India, they have been cultivated as long as records exist. The Chinese used the flowers and leaves for food. Thomas Jefferson grew them from seed, and was documented to have planted them at all three of his homes. 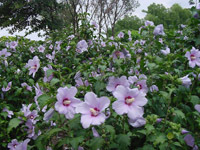 'The Pearl' Hibiscus is a new summer-flowering, deciduous shrub, attaining a height of 11 feet and a width of 6 feet; it’s lavender flowers are 4 inches in diameter, and it's three-lobed leaves are 4 inches or longer in length. 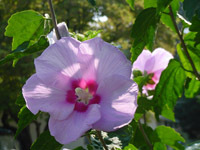 This cultivar is a species-hybrid selected from a seedling population obtained by pollinating a blue-flowered seedling of H. syriacus "shrub althea") with pollen from a lilac-mauve-flowered selection of the species H. sinosyriacus, as it is now named by the American Horticultural Society in their A-Z plant directory published in 1997. A bit of history on the handling of this plant material may be of interest. 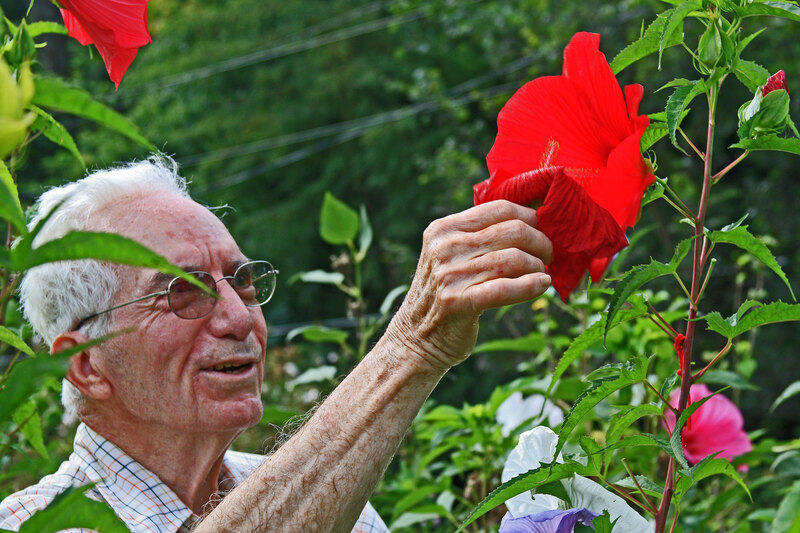 During the 1980’s, Sam McFadden received two Hibiscus plants that were supplied by the DuPont's' Longwood Gardens and these remain in cultivation today at his home in Somerville, Tennessee. The lilac-mauve-flowered one was labeled 'Lohengrin', and the white-flowered one was labeled 'Tosca', together with some H. syriacus x H. paramutabili. 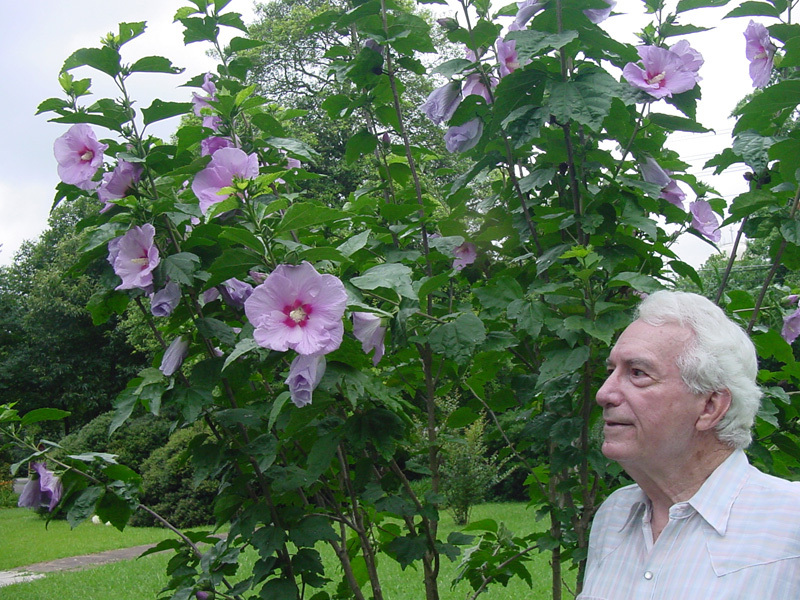 Sam found that both of these operatic introductions could successfully pollinate some of his shrub althea seedlings. 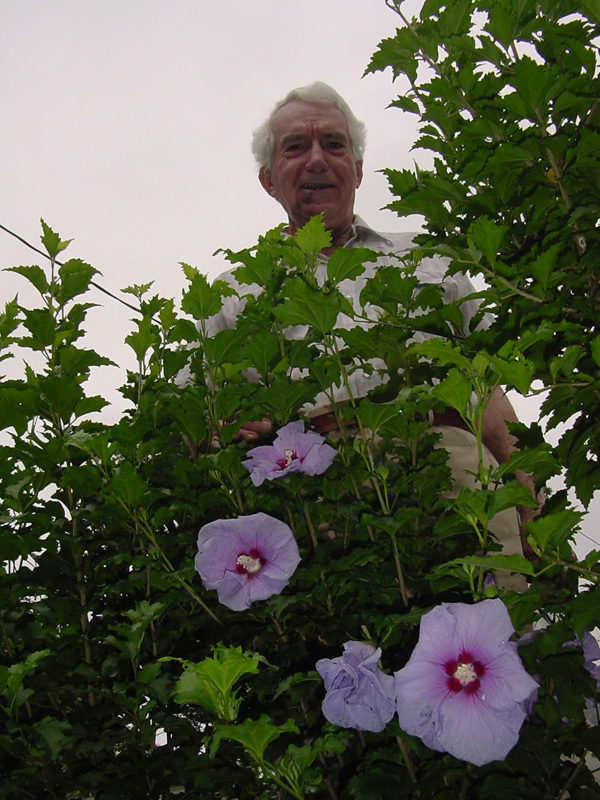 A portion of the seedling population obtained from 'Lohengrin' pollinations was given to Dr. Jerry Parsons for evaluation in San Antonio, Texas. Later, Jerry returned one seedling chosen for it's vigor of growth; this plant was grown to maturity in Somerville. It was eventually jointly named 'The Pearl' after it’s propagation and flowering characteristics Drs. McFadden and Parsons judged to be suitable for nursery handling and distribution. The National Arboretum released several new althaeas in the 60s and 70s. These are all sterile triploids that have larger, earlier flowers, but they set no seed. Cultivars include 'Diana' (white), 'Helene' (white with maroon throat), 'Minerva' (lavender), and 'Aphrodite' (pink). Another cultivar released a number of years ago is 'Bluebird', which is a single-flowering lavender-blue color. All these newer introductions tend to be more compact in form than the species types, and better adapted to the northern half of Texas than the south. 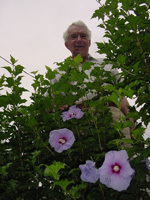 In 2004, Dr. McFadden improved on the 'Bluebird' introduction by making a selection from a cross between a blue althea seedling (female) of his and 'Diane' (pollen). This selection produces an abundance of blooms on every cutting and is a very fast growing plant. 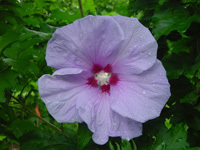 He named this spectacular Althea 'Blue Angel'. From this same year's breeding efforts came a companion white althea which he named 'White Angel'. 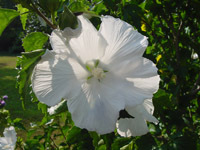 'White Angel' has the same floriferous habit and rapid plant growth as does 'Blue Angel'. The cross which produced 'White Angel' was H. rosa-sinensis (Chinese Hibiscus and tropical) (female) X Diane (male). 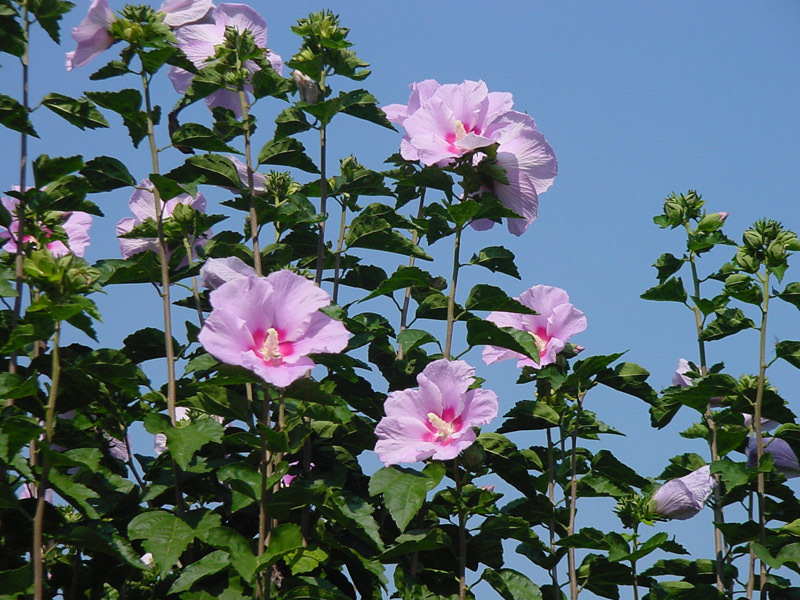 Three new herbaceous perennial Hibiscus selections were released in 1962 by the Horticulture Department of the University of Florida at Gainesville. 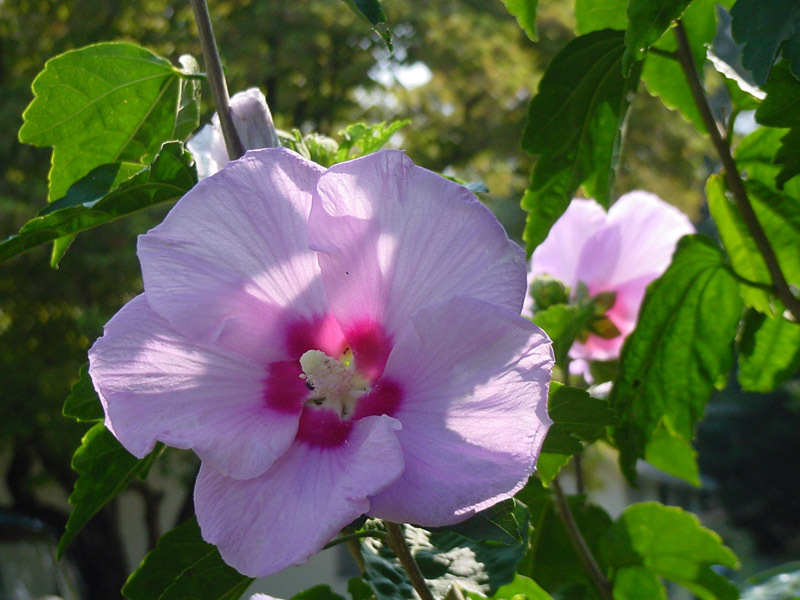 These were hybrids of Hibiscus species that are native in Florida and of existing named cultivars that were obtained from nursery sources * these being listed under names such as "Large-flowered Garden Mallows"; "Mallow Marvels", some being as old as 150 years; or as "Hardy Hibiscus". 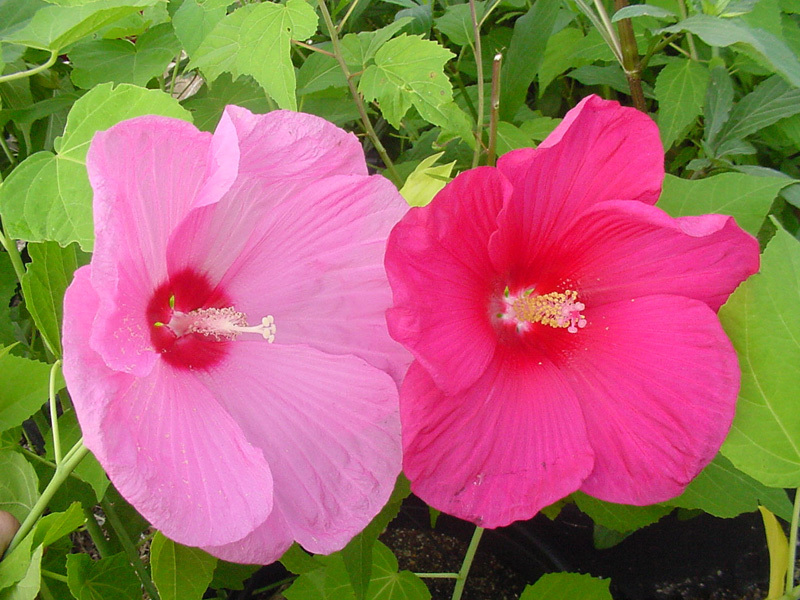 The breeder of these released selections was Assistant Horticulturist, Dr. Sam E. McFadden, who assigned their cultivar names: 'Plume', 'Plush', and 'Flare' based on their unique flower traits. Distribution of these showed that the first two named were short-lived, and only 'Flare' was really suitable in trade handling for garden use. 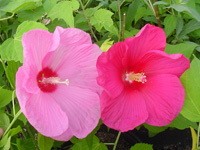 'Flare' was obtained by hybridizing (H. moscheutos) seedlings with a named perennial Hibiscus cultivar 'Brilliant Cerise' obtained from a California nursery source. 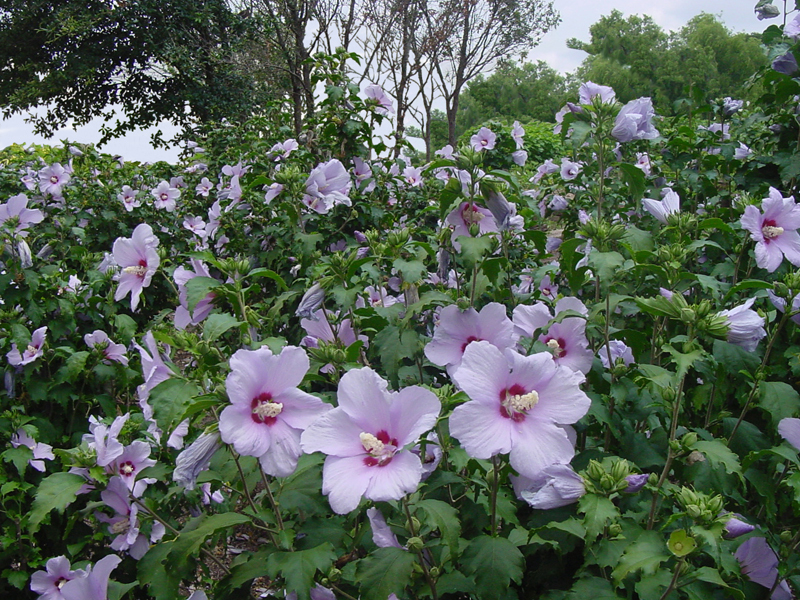 Stock plants of 'Flare' have been maintained in Tennessee and propagation material has been supplied to Dr. Jerry Parsons at Texas A&M University in San Antonio, Texas, along with stem cuttings of two additional perennial Hibiscus selections from this same project that had been named 'Swanee' and 'Red River' but not formally recorded. Both of these have since proven to be suitable, long-lived, but 'Swanee' is difficult to propagate from stem cuttings. 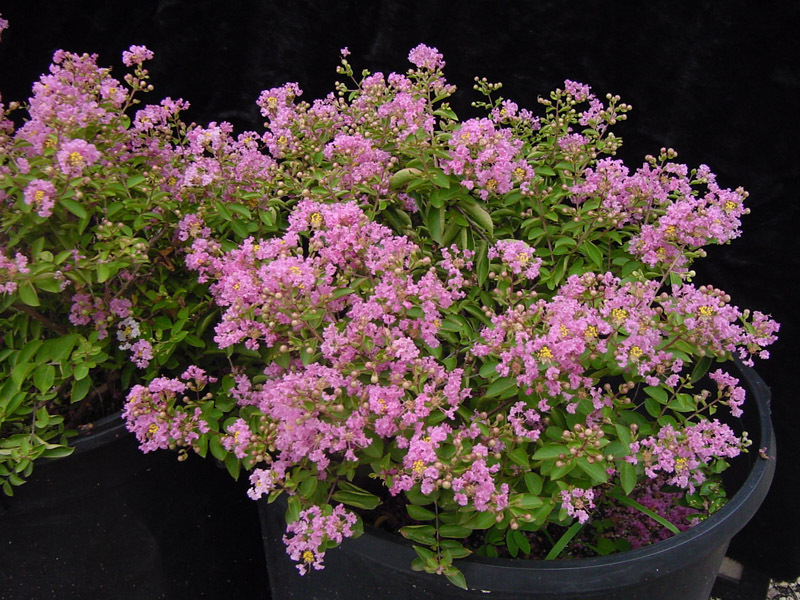 'Swanne' was obtained from a cross of H. grandiflorus and a seedling resembling 'Flare'. The parentage of 'Red River' included contributions from H. coccineus from the wild in Florida and the first two cultivars: 'Old Glory' obtained from the Riegle Brothers Nursery in Georgia, and 'Annie J. Henning' from an Ohio nursery source; the latter supplied the white basal petal spot that re-appears in the 'Red River' flower. This Florida plant breeding work conducted by McFadden also included some attention to Rosa rootstock breeding, stimulated by Dr. Griffith Buck's project at Iowa State University. However, nothing superior to the natural hybrid Rosa x fortuniana for use in Florida was secured. 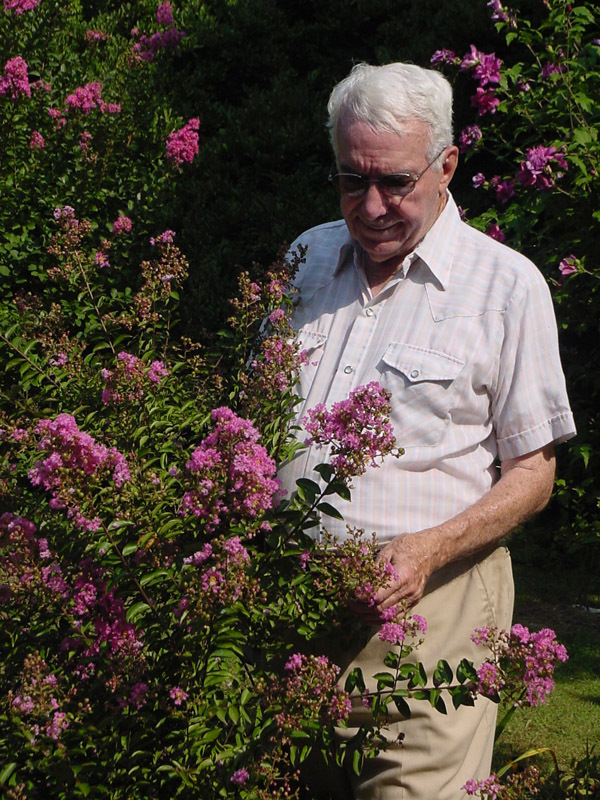 Hybridization of crapemyrtle species was also pursued with special interest in resistance to powdery mildew. 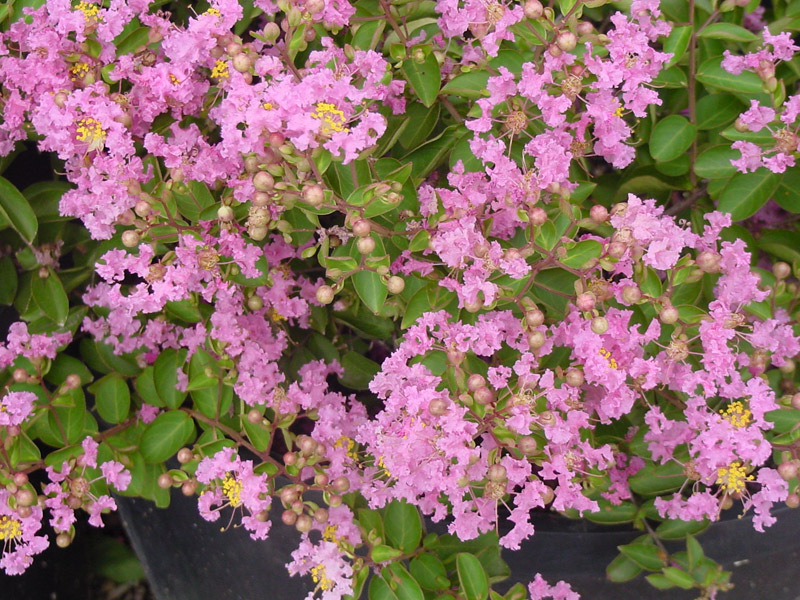 One dwarf tri-species hybrid was named 'McFadden's Pinkie Myrtlette' and has been maintained. 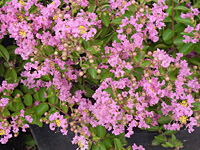 It will have use as one of the "Myrtle-ettes" or small crapemyrtles among the Lagerstroemia cultivars. 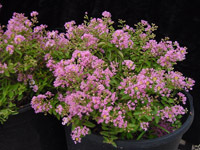 'Pinkie' was obtained from a cross between on of Dr. Donald Egolf's progeny (L. indica x L. faurei) seedlings from the National Arboretum that was being tested in Florida and a USDA plant introduction from Japan of L. subcostata with very small florets. 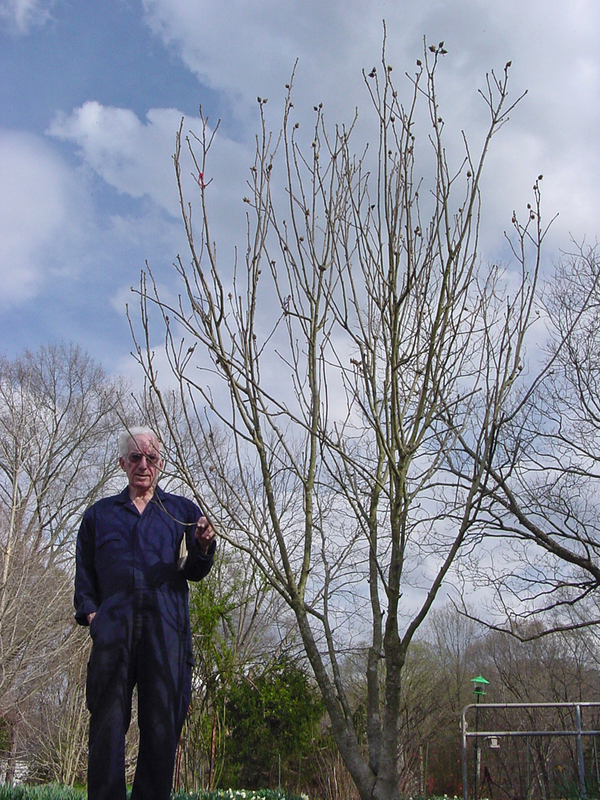 Photos of Dr. Sam McFadden and 'McFadden's Pinkie Myrtlette'; click images to enlarge in new windows. Dr. McFadden has also been an inspiration in the search for a yellow rose for Texas and any other plant materials which may have been used at one time and should be "reintroduced" to gardeners. One such example is the 'Karl Sax' sterile triploid introduced in 1960.